As soon as you pick it up you're struck by just how light it is. At just 820g it feels as if there is nothing inside this machine. With slightly slimmer dimensions than the equally small Fujitsu LifeBook P770, this is a machine built for frequent and comfortable mobile use. The level of comfort is enhanced by the fantastic keyboard – with large keys and a spacious design, it is flawless to use. All keys respond firmly and accurately, letting you effortlessly type at speed. Disappointingly, battery life falls below the level we'd hoped for. 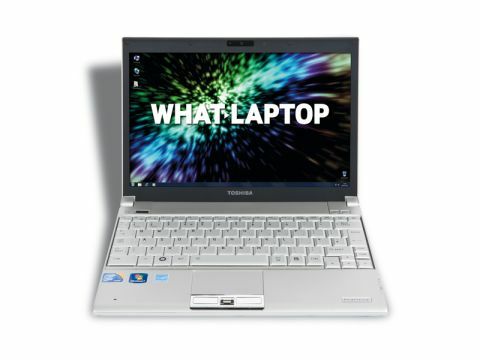 Running for just 211-minutes, it is bettered by both the Fujitsu LifeBook P770 and Sony VAIO VPC-Z11Z9E/B. While you can work for half a day, we expected a better result from such a light machine. Performance is more pleasing. While this is the only laptop to use Intel's older Core 2 Duo technology, rather than the latest Core i5 and i7 processors, there is ample power on offer for most business use. Only more complex multitasking shows the limits of the older CPU. A unique feature of the R600 is its use of a transflective backlit LED screen. Activated via a small key above the keyboard, it allows maximum visibility indoors and out, letting you work in comfort at all times. The screen is driven by an integrated Intel graphics card, so performance is in line with the Fujitsu LifeBook P770 and falls far behind the Lenovo ThinkPad T410s. Image quality is strong and while colour and contrast are slightly muted, this is a very comfortable screen to work with. A compact camera is fitted above the screen, allowing you to capture basic snapshot photos and stream live video. Toshiba has also implemented facial recognition software, allowing you to log into Windows by looking into the camera. Where the Portégé R600 is bettered by its rivals, however, is its limited storage. Just 128GB of Solid State Drive storage is provided for carrying your files and could quickly be filled. However, SSDs are much faster than traditional HDDs but have a different set of shortcomings. In order to maintain the chassis' light weight, there is also no integrated CD/DVD drive. Despite the minor shortcomings of its limited features and battery life, the stunningly lightweight dimensions and great usability of the Portégé R600-149 more than compensate. Unless you need the latest cutting-edge features or the longest battery life, this is a fantastic travel partner and we like it a lot.